Season’s Greetings – Beannachtaí an tSéasúir (in Irish Gaelic) – to all. I hope that, like Father Christmas, this has been a joyful time for you to share your love with those around you. As the Celtic saying goes, “Heaven and earth are only three feet apart, but in thin places that distance is even shorter.” May this day find you in such a place. I have four blog notes in the pipeline, but December has been a busy month for the Peterson book, as we’re laboring to complete the third and final part by the new year. Don’t know yet if we’ll make it, but we’re getting close. After that, some minor appendices, the preface and the index. . . and it’s done. We fully expect the book to be released in 2018, so much so that I’m presenting an illustrated lecture, “What Pipemen Don’t Know About Peterson,” at the Chicagoland Show on Friday night, May 4, in the McCardle Suite. Craig Cobine tells me it’s a smoking room, so if you can make it, bring your Pete. My co-author Gary Malmberg will be there for questions & answers afterwards, and our layout & design artist will be there to take care of the digital end of things so you can see some of the visual goodies she’s put together for the book. To each of the blogs readers in the 119 countries across the globe – Nollaig Shona agus Athbhliain faoi Mhaise Duit – Merry Christmas and a Happy New Year! Nollaig chridheil agus Bliadhna mhat ùr! Thank you, sir! And to you! Wonderful, exemplary by a true SON! What more can a man want, than the praise of his father, and the appreciation of his peers. Seems you’ve had a very good Christmas, Mark! See you in May. Linwood!! You’re going to Chicago! The First Peterson Pipe Notes subscriber! Fabulous. You’ll let me buy you a Portillo’s hot dog, I assume? 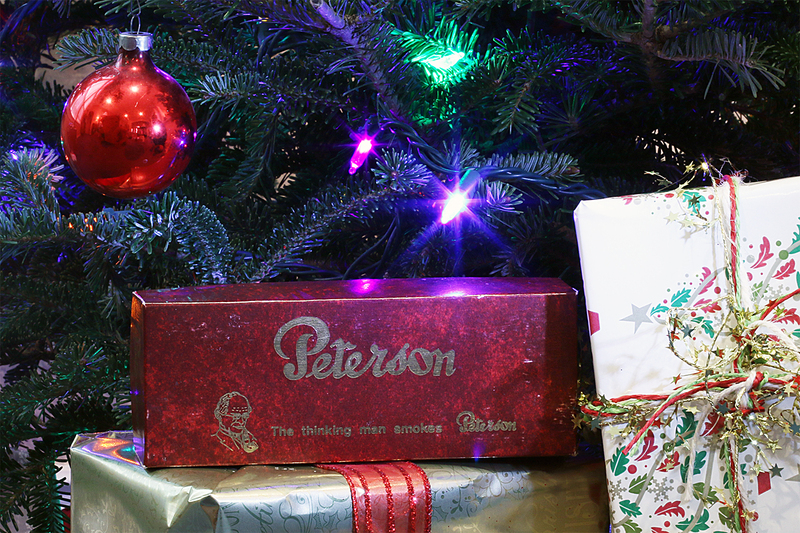 well, yes, just like last year – when I looked for the Peterson Pipe Book display there – I must have walked right by it – so I have to go back to get my copy! re the Portilo’s: try the Italian beef ! I’ll buy desert for both of us – one piece of chocolate cake – and we’ll still have some left over to take home, cuz it is so large. Ouch. Yes, we’re a little optimistic when it comes to publication dates… but always looking for a free piece of chocolate cake! You’re on. Sorry, this is not meant to be a hijack! Mark, i wish i had known…thats less than a one hour flight for me, and my Son lives there, i could have brought the “Peterson Twins” to show…of course i might be able to get a good rail or flight deal between now and then…how does one register…my apologies, i’ve been busy with a major upgrade of the Recording Studio, and some serious Family Health issues…full plate. Hi KT, I’ll be presented at the May 2018 show. There’s still plenty of time for you to register and attend. The hotel is reserved exclusively for the show, and there are still rooms available. It’s a great time–maybe you can come. i’d probably stay with my Son to save a lil money and use CTA for transit. i just invested a fair sized chunk in my recording studio, but i may just be able to figure out a way to attend. i assume this is more on the outskirts of the city at a hotel conference center? My Son lives in Evanston, not far from Skokie. The very best of the season to you and yours Mark. We’re all looking forward to the release of the book! Thank you, Charles, and to you! Appropriately enough, I just send the “package” of text & illustrations for the estates / restorations penultimate chapter to the designer. Before i was disabled, along with Being an Art History Prof, i had a Graphic Design company….made more with it than as a Professor, if you can imagine…and i was Verrrrrrrrry low cost. Had i known of this, id have used one of my various templates, and flowed your text in, automatically numbered, and style sheets applied to headers, footnotes, et. al. never thought i’d miss the deadlines of the Design world…but the work was a joy! Oh, and also i would have done it gratis, for the community. Also for your sage guidance that benefited me more than one could have imagined. I guess we missed that one, KT, but I’m very blessed to be working with an in-house designer and she’s done so much for the book that my co-author believes she should also receive co-authorship credit. Mark, that’s cool, i am always willing to help out, but u having someone who can do the same doesn’t hurt my feelings at all, just wanted to let you know, for the future, if you find yourself in design or prepress needs, i spent a great deal of my life doing that daily. i now feel more than a bit foolish..i had no idea this is a good sized company with design staff, i feel silly offering my services. Not at all! Generous hearts are always to be celebrated, and I appreciate yours. The book has been about 7 years in production now, so we’ve had help from a goodly number of folk, and surely would have enlisted yours at an earlier date. 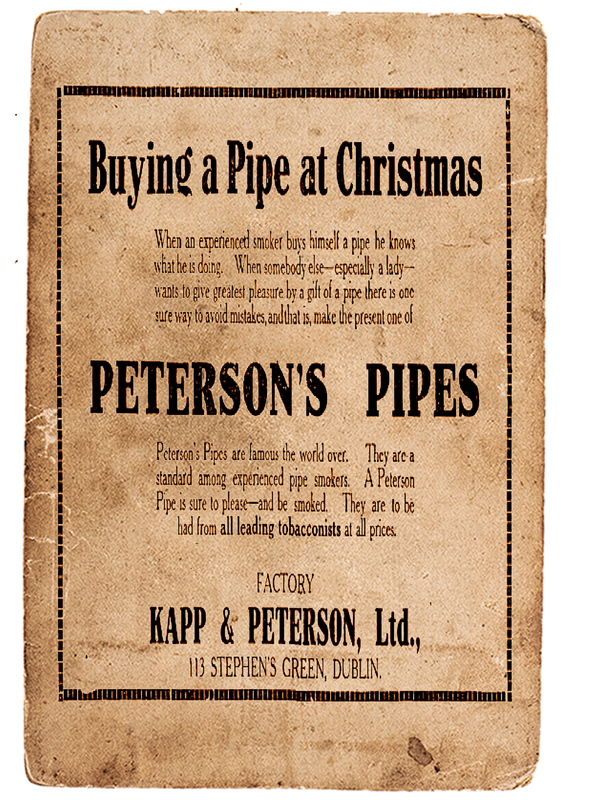 FYI, google Chicagoland Pipe Show for particulars. If no one is aware of it, the stuffed crust pizza at Bacinos on N. Lincoln Ave. (Lincoln Park/Depaul area) is worth going to Chicago for, itself.